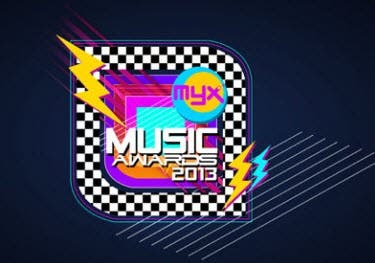 Fliptop artist Abra, Rapper Gloc 9, Kapuso star Julie Anne San Jose and Popstar Princess Sarah Geronimo emerged as the big winners in the 2013 MYX Music Awards. Gloc 9 bagged three trophies while Abra, Julie Anne San Jose and Sarah Geronimo each went home with two in recently-concluded MYX Music Awards 2013. The top plum, however, went to Abra for winning Favorite Music Video of the Year. 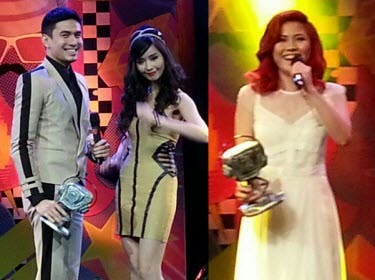 Yeng Constantino won Favorite Female Artist while Christian Bautista, who recently signed a three-year contract with GMA Network, won Favorite Male Artist.